A powerful technique to resonate and balance your chakras using vowel sounds. This is an excellent exercise to do every day and is a great introduction to exploring the harmonics naturally present in the vowels. Vowels carry the “information energy” of speech, whereas consonants act to break up the energy flow. In ancient Sanskrit, Hebrew, and Chinese, the vowel sounds are considered to be sacred. In other words, the vowel sounds carry the intention and focus. Grounding meditation is a great way to create balance and stability in your life and to help you reconnect with Mother Earth. It makes you feel centered and steady, provides you with a feeling of balance, and may reduce stress and anxiety. This meditation is very magical and popular. It will help you decompress, slow down the mental chatter, and focus on your heart’s desires — your goals. You will write down your three wishes before your appointment and have them with you on that day. If you have a phone or Skype™ appointment, please complete your payment and Consent Form as soon as you book your consultation. The Consent Form will be emailed to you. The fee for a standard one-hour session is $150. If your session exceeds one hour, an additional $100 will be charged for an additional 60 minutes. 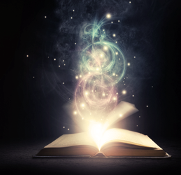 Please note, you may select the two-hour Akashic Records Reading With Discussion for $250 if you feel you would like to focus on in-depth issues. There is also a no-show policy. You must cancel or reschedule an appointment 24 hours in advance, or you will be charged 50% of the fee. For your added convenience, you may send your payment via PayPal™ by selecting "Reading Type" and "Buy Now" below or call 951-551- 4566 with a major credit card before your scheduled appointment.